As a review website, we’ve previously tested out and written about both the Hykso Punch Trackers and the Everlast and PIQ Robot Blue Punch Trackers. While both punch trackers have the same overall objectives, there are a lot of differences in the way they both work. We’ve tested both devices intensively, as well as a couple of sessions wearing both sensors at once, so in this comparison review we’re going to take a look at both sensors side-by side, breaking down 12 of the most important areas. Note: To get the most out of the Everlast/PIQ system you ideally need to purchase two sensors (one for each hand), so this comparison will mostly refer to the experience when using two sensors. Okay, so perhaps battery life isn’t as important with punch trackers as it would be with many other wearable devices, as you can easily plug them in to charge in between sessions, but despite that it’s nice to know your punch tracker can last a few sessions with no issues. Thankfully both sensors have pretty good battery life, with the Hykso estimated at 10 hours battery life and the Everlast/PIQ estimated at 8 hours. Both apps also give an indication of the battery level to give you an idea of how much you have left. On the Hykso app it tells you instantly as soon as you connect the trackers up to the app, whilst the Everlast/PIQ app opts to list the battery level on the settings screen instead. If your regular training session is around an hour, you should be able to get your trackers to last a good number of sessions without worrying. If you’re a professional fighter training full time, they should last an entire day’s worth of training with ease if not longer depending on how much you use them of course. Hykso just edges it with the extra 2 hours worth of life, as well as the fact it’s a little easier to see the remaining better level. Once you burn through 8 – 10 hours with your trackers, the next question is how easy they are to charge. The Hykso system includes a small square charging device, which the trackers both slip into. Once they’re in place they’re not likely to fall out accidentally and are held in pretty securely. You then just plug the device in to the nearest USB port and wait. It’s a pretty cool way of doing it, and it keeps the two trackers together nicely. It’s not necessarily perfect though – it requires your USB port having a bit of space around it, so if the only port you have is other cables you may find yourself needing the included extension cable. The Everlast/PIQ does it a bit differently. Each tracker you buy comes with a charger. The charger is a bit slimmer and has a small cable between the device and the USB part, which solves the problem the Hykso faces. They’re held on to the charging devices with fairly strong magnets. You can certainly knock them off if you accidentally hit the charger hard enough, but they’re not likely to fall off on their own. Unfortunately, where these are bought separately it does mean that each charger only holds one sensor, so you either need to have two on the go simultaneously or charge one at a time. Overall the Hykso charger feels like a core part of the product, and unfortunately it’s a bit annoying to have to charge the Everlast/PIQ trackers individually. Something people often forget about is that whatever you’re buying is going to have to be stuck in your gear bag on the way to and from training, and to be honest with products this expensive, you don’t want them to just be thrown in. The box the Hykso comes in is actually pretty small, which makes it incredibly useful for carrying the trackers (as well as the charger around in. The box is lined with dense foam with the shape of the charger cut in to it, with a magnetic flip cover which is pretty easy to open. I found it fairly easy to slip into smaller pockets of my gear bag with no problems, and it makes for pretty good protection as well. With the Everlast/PIQ, this isn’t quite an option. Instead, I found it best to keep the trackers and wraps together, leaving the charger at home. I found the best way to take them with me was to make sure the trackers are clipped in to place on the quick wraps they come with, rolled up and popped into your bag next to your standard hand wraps. Both options are pretty easy to tuck into a small bag pocket, but the Hykso kit has clearly been intentionally designed to offer the extra protection and keep them safe. The two sensors are very different in terms of their physical design. As you can see above, the Hykso sensor is an almost rectangular black and red device, curved on one side so you know which way to wear it. The long, narrow shape keeps it feeling small and makes a minimal impact when wearing it. Each sensor also has either a red or blue light in the centre, corresponding to which hand is which – blue being left and red being right. This is super helpful for getting started and makes them easily identifiable. The Everlast/PIQ sensor follows on from the tried and tested design used by many of PIQ’s other sensors. It’s much wider, but also marginally flatter too, split into 3 segments, with a power button and a small blue LED. Once the sensors are switched on, tapping the button will cause the dominant hand to flash fast, identifying which sensor is which. The shape of the sensor is a little more noticeable if you’re wearing it under hand wraps, however they’re mainly designed to be used with the quick wraps provided. Overall we found the thinner width of the Hykso to be better to wear under gloves, and the coloured lights is a really nice touch. In this part we’re going to look into the process of turning the trackers on and getting started – basically everything which happens before you start boxing. There aren’t any buttons on the Hykso punch trackers. Instead to turn them on, you just double tap them. You might have to tap a few times to get them to respond. If you have the app open already, they should connect to the bluetooth automatically. If not, or if they’re turned on by accident, they’ll switch off again after a few seconds. You then need to wrap them into your hand wraps (which you should be wearing anyway) on the outside of the wrist. We mentioned in our First Thoughts article that it can take a little getting used to wrapping them in place when you get started, but I feel like it’s something you get used to doing fairly quick. Then you’re ready to start. You have the option of setting them to start as soon as you hit the button on your phone, to start after a countdown, or to start automatically when you throw a punch. I can see the benefits of all options, but I found myself preferring to start when the first punch was thrown, as it allows you as much time as you want to get your gloves on, or if you’re in a group class it starts whenever you do. You don’t need to keep your phone on or nearby, but you do need it handy to start the session. The Everlast/PIQ use their buttons instead. Just hold the button to turn them on. You don’t need the app, or even your phone handy to get going, you can just worry about that later on. The Everlast/PIQ sensors need to be positioned on the inside of your wrist, but you have a few options when it comes to wrapping; You can wrap them inside your hand wraps, you can wear them on the quick wraps, or you can even wrap the quick wraps around the outside of your glove. I found the quick wraps were a bit too bulky underneath gloves, but the fact you have options is great. When you’re ready to go, you don’t have to hit any start buttons, or even have your phone on you to begin recording your training session. As soon as the sensors are on they’ll start tracking what you’re doing. You can actually log several sessions before syncing up to your phone, and then sync up and take a look through them in one go later. While they sacrifice the ability to see your live statistics, the Everlast/PIQ trackers are incredibly easy to switch on and go and I found it a huge help to not have to worry about setting your phone up, especially when your phone is dead or your pressed for time. The physical items themselves are only half of the experience, the rest is in the app. The visual style and layout can make a huge impact on the feel of the app in general. Above are screenshots of both Android apps, looking at the session view of a quick comparison session where I tested both products simultaneously on a heavy bag. As you can see the Hykso app has a heavy black, white and red colour scheme. It’s a very minimal design using shades of grey and outlines to separate everything. Everything is laid out in a super clear way, with tabs to click through some of the data from your session. The app doesn’t really use imagery outside of the two on the ‘train’ screen, but you can also add images to sessions, which comes into play more when sharing on social media (we’ll come back to that more later). Hykso have kept the app very data focused, with the session graphs being the main focus of the apps. 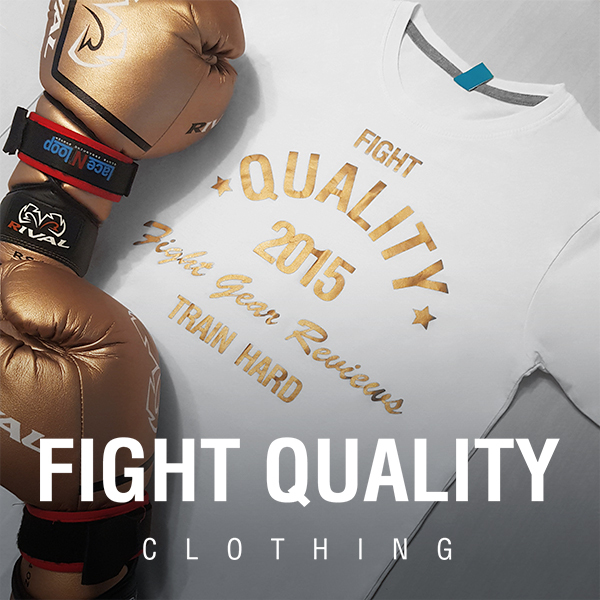 Everlast/PIQ have gone for an almost opposite approach, utilising lots of imagery, textures and bright colours. The layout is a little busier with much more going on screen, so it helps to know what you’re looking for. For the most part the Everlast/PIQ app shows you averages and figures but there are also some charts too, including a pie chart showing how many of each punch you throw. Because this app asks you to create an account, you can also add a profile picture, which makes for a slightly more personalised feel when you’re looking at the dashboard. There are positives and negatives of both layouts, but in general I feel I have to hand it to Everlast/PIQ who have clearly put work into designing a great looking app. The Hykso app is pretty straightforward to use overall. It’s fairly easy to record a session, with the ability to see your session progress in real-time. Then once you’re done, it’s all saved and easy to see. The main benefit over the Everlast/PIQ app is that you don’t have to worry about setting up your account beforehand and don’t have to worry about syncing the data over afterwards. While you do need your phone handy to start a session, once you’re done, you’re done. We mentioned in the ‘Sensor Ease of Use’ section that it’s easier to start a training session with the Everlast/PIQ and you can worry about syncing up later. Unfortunately this is an extra step you have to do. Sometimes I found I was having issues with syncing the trackers up, pairing them to the phone or just working the app in general. While the Hykso app is super clear, the Everlast/PIQ app isn’t always as clear, with things hidden away. There are a couple of things hidden behind menus or ‘learn more’ buttons that are easily missed. The Hykso app wins simply because it does what it needs to with no extra work. We found it to be a much easier experience overall, with far less confusion. The Hykso gives fairly detailed data on your training session. While you’re training you can choose to keep your phone handy or with a coach and keep track of your punch count, velocity and intensity score changing in real time. Depending on whether you chose a Quick start, or an Advanced mode with multiple rounds, you’ll get either a bar chart showing your stats over time or per round. You can change between data for punch counts, intensity score and punch velocity, which lets you take a look and see visually how your session progressed. I absolutely love the level of detail here, and it’s exactly what professional fighters could make use of. You can compare your performance in different rounds to see if you’re stamina is dropping off, or to see how fast you’re hitting when doing different drills. Everlast/PIQ shows you your ‘Winning Factors’ after each session, congratulating you on what you did well. Again you get shown the time and number of punches here, followed by your ‘PIQScore’ (a rough indication of session intensity), and some other general statistics such as your best punch speed, and punches per minute. There isn’t really any way to track progress over time, but you can see how many punches were fast or slow in the ‘punch breakdown’ section. Interestingly, the number of punches in my comparison session varied, with the Hykso trackers having counted 492 punches and the Everlast/PIQ trackers counting 479, so I’d assume the Hykso trackers are a little more sensitive. The fact Hykso automatically shows progress in real time, and shows graphs of your progress over time is incredibly helpful and I found gave far more valuable information which can be used to improve. As well as the Hykso app showing you your session stats over time, it also breaks down each of it’s 3 data categories into four types of punches; Left Straight, Right Straight, Left Power and Right Power, allowing you to see the number, intensity and average speed of each punch type. It’s great for identifying things to improve on, such as speeding up your jab or throwing more left hooks. It’s a little disappointing that they don’t distinguish between hooks and uppercuts, however the brand have told us that part of the decision was to avoid information overload and to match up with existing scoring systems like CompuBox. Everlast/PIQ however do distinguish the difference, although I only threw one uppercut in my comparison test. As you can see in the screenshot above, they put a lot more focus on this part of the data, with the visual pie chart design there to help you see how many of each punches you threw. It wasn’t immediately obvious, but if you select a number from this screen you can see your max speed, retraction speed (something not seen in the Hykso app) and G-Force. You can also see how many of each punch type fall into the ‘Less Than 10mph’, ’10-20mph’ and ‘More Than 20mph’ categories, which gives you a pretty good indication of your average speed. One of the reasons I like this layout is because I, like many people, often use a jab as a range finder, or to slow a heavy bag. With a layout distinguishing between fast and slow, it prevents this from dragging the average speed figure down – According to the Hykso my average Jab speed was 7mph (almost half the speed of my straight punch), but with the Everlast/PIQ I can see that over half of my jabs were between 10mph and 20mph. As you can probably make out from the screenshots, there was a bit of difference in the number of right punches, with the Hykso counting more as straights and the Everlast/PIQ counting more as hooks. Unfortunately I wasn’t keeping an eye out on which one was more accurate, but it’s interesting that there’s such a large discrepancy on the right, while the scores for my left hand are fairly similar between apps. While it doesn’t have quite as much data, the visual layout and different speed categories make Everlast/PIQ’s data a little more user friendly and easily understandable. One of the most important additions with wearable punch tracking technology in boxing is the ability to see progress over time. Unfortunately it looks like there are slight differences between the Android and iPhone Hykso apps. On the iPhone app there’s an ‘Activity’ tab which shows a chart of the change in punch count, intensity and average velocity over either the last week, month or year. This tab seems to be missing currently from the Android app, however you can still get a quick idea of these figures by scrolling back through your feed. The Everlast/PIQ app dashboard is essentially the home to all of the app’s progress tracking, showing interesting stats like your total number of punches, calories burned and amount of time spent boxing. It also gives you a few of your top scores. Then at the bottom of the Dashboard page, there’s a progress tracker, allowing you to search through the last few days, weeks or months, and giving you bar charts and line graphs of your progress across each period. There’s also the ‘PIQScore’ tab, which shows a colourful breakdown of your average over the last 6 sessions, as well as details on your average Speed, G-Force and Retraction speed for those 6 sessions. While Hykso is far better at providing real time data and session data, the Everlast/PIQ app seems to be aimed much more towards totals and keeping an eye on progress over time. For some people, sharing a workout on social media is an absolute must. Hykso have a built in sharing feature. If you’ve uploaded an image to the session, you can share the image with an overlay of your session data. There are a number of different overlays depending what data you want to share the most. The ability to share your own custom image is pretty cool and something that can be done on a regular basis if you want, to share wit your friends or fans how your training is going. In comparison, Everlast/PIQ’s sharing system seems rather less personal. The app allows you to share your ‘Winning Factors’ on social media, but the app gives you a default animation to share. To be completely honest it feels a little bit more like sharing an advert than sharing anything about your workout, and I can’t see any reason you’d want to share more than once. Social media is big business, and the Hykso app helps fighters to build up their social media profiles by sharing their own unique content – far better than what the Everlast/PIQ app allows. The Hykso sensors come in at $189.95 (around £150), with the Everlast/PIQ trackers at $99.99 per sensor (or £89 in the UK). The lower price obviously appeals to a wider audience, and would be great for someone who only wants the one device as a rough measure of progress. That said, for anyone who wants to use the data to target specific improvements, you’ll need to grab a second sensor, which puts the price up to just under $200 (£178), just slightly more expensive than the Hykso sensors. Despite the pair of Hykso punch trackers coming in slightly cheaper than two Everlast/PIQ punch trackers, the option to buy just a single tracker with most of the functionality is great for anybody who can’t justify the full price. Breaking it down, it looks like Hykso has won on a number of features. In reality though, I feel like these are targeted at slightly different people. The Everlast/PIQ app makes for a good progress tracker, to track sessions over time and try and improve your overall score, which would be great for a beginner who might only need one tracker for a good idea of progress. The Hykso tracker is probably a better fit for a slightly more serious fighter, who needs something small to fit underneath gloves, with immediate feedback for coaches to use, as well as detailed statistics over time to identify where to improve. Overall I feel like the Hykso probably provides more useful data to help take your training to the next level, and the trackers have already been used by a huge number of UFC fighters, as well as other top Boxers, Kickboxers and Muay Thai fighters. Sorry but the ” Data: Punch Types” category alone should put the PIQ in a whole other category. I don’t see how the Hysco can help with anything if it can’t even distinguish between uppers and hooks.